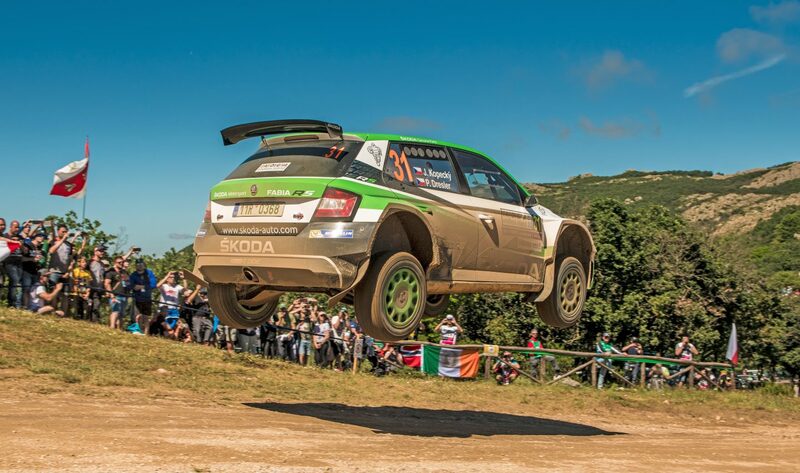 ŠKODA Motorsport’s Jan Kopecký is celebrating ending the season as WRC 2 World Champion. Read how he and his co-driver Pavel Dresler look back on their rallies. Jan Kopecký a Pavel Dresler crown fantastic season with WRC 2 title witch they won with a second place at RallyRACC Catalunya – Rally de España on the day of the 100th birthday of Czechoslovakia. 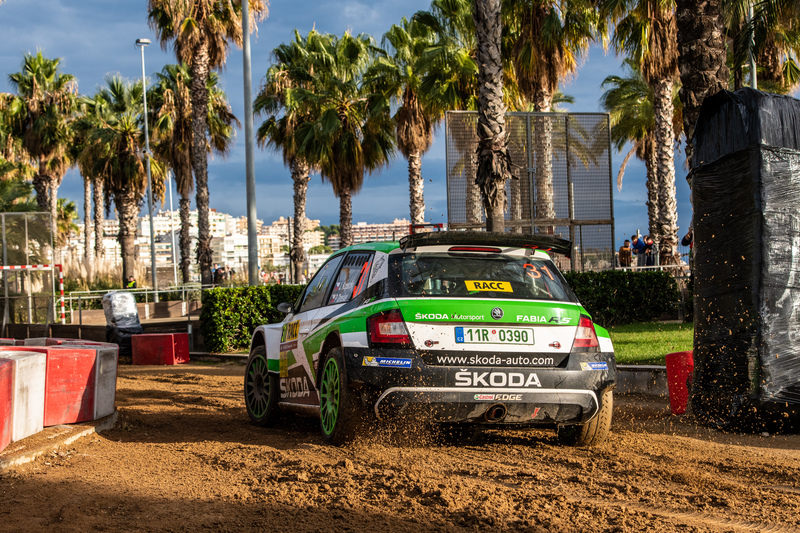 At the same time ŠKODA Motorsport won the WRC 2 Championship for Teams for the fourth time in a row, making the 2018 season the most successful in its history. The Monte Carlo Rally is a legend among rallies, much like the Monaco Grand Prix is a legend among Formula 1 races. For Jan Kopecký and Pavel Dresler, it also marked the start of their stellar season. 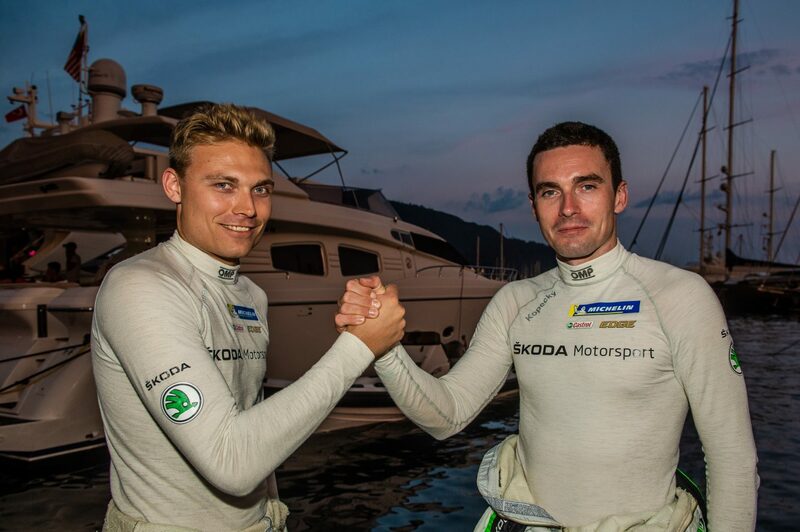 They entered it as the sole ŠKODA Motorsport crew and at long last scored the victory they had been craving. “During the latter stages, it was very difficult to stay focused, find the right speed and avoid making mistakes. That’s all I had to do, but the stakes were high. It’s a dream came true. I finally triumphed at the seventh attempt, and on my 36th birthday at that!” recalls Jan Kopecký. The Tour de Corse, known as the “Ten Thousand Turns Rally”, is one of the most demanding events for drivers, co-drivers and cars alike. The fast tarmac road surfaces with innumerable quick sections and difficult, technical stretches test crews’ abilities to the very limit. 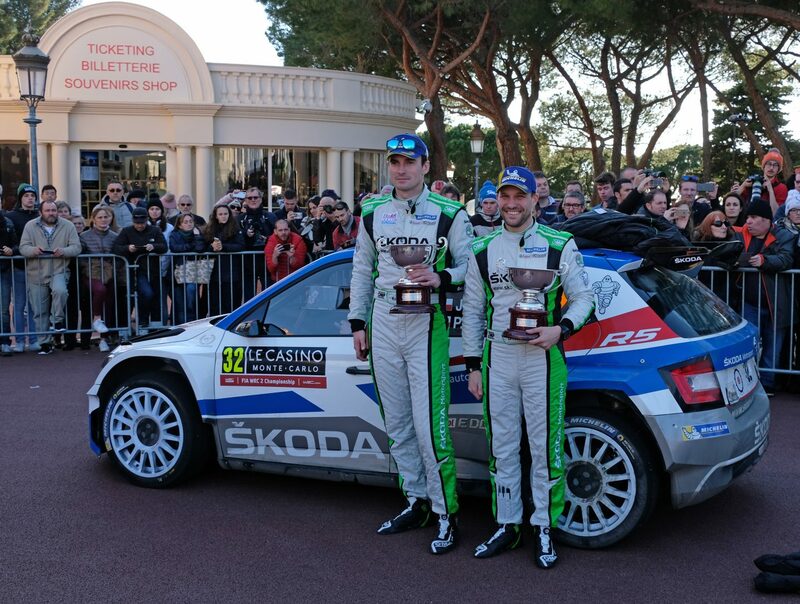 Corsica is perfect for Jan Kopecký and Pavel Dresler to show off their vast tarmac experience – and this year they turned this advantage into another victory, posting fastest times in six out of twelve stages. 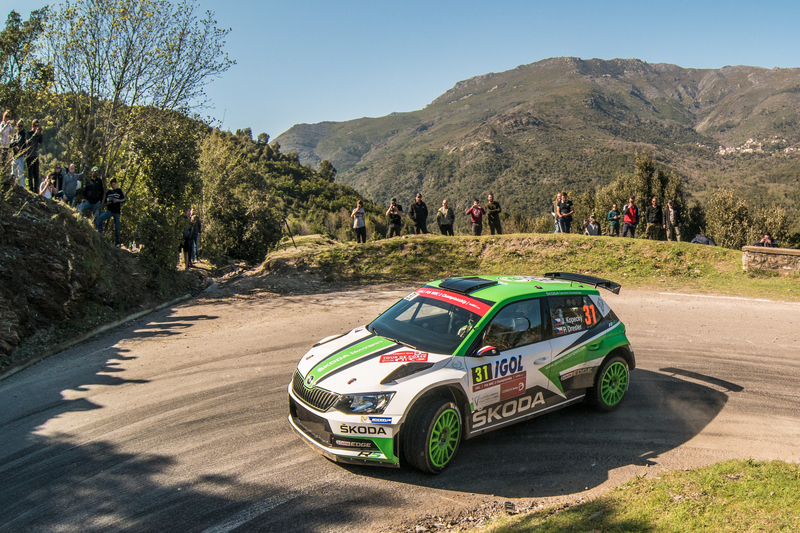 “The Tour de Corse is definitely the most difficult rally of the year for me. It earns you your spurs as a co-driver. The changes in rhythm are the hardest part. One moment, you’re passing through a quick series of bends and you can’t even lift your eyes from the pacenotes, and the next you’re in a sweeping section where you need to read more slowly. You mustn’t release the information too early because the corners in Corsica are all alike and if you get lost you’ll never get a chance to work out where you are. Some sections are up to 15 kilometres long, with almost identical curves,” says Pavel Dresler. In their third rally of the season, Jan Kopecký and Pavel Dresler had to cope with the inclement weather. Intermittent rain turned the gravel into mud, making it much harder to gauge the right pace. To make matters worse, they had two punctures on the Saturday, leaving them with no spare wheels left, so they had to temper their pace until the end of the day. Even so, Kopecký and Dresler overcame their problems, battled their way back to first place, and stayed there until the finish. “On Friday, there was intermittent rain on the route. I couldn’t read the road properly and didn’t know where to accelerate and where to hold back a bit. You can easily lose control of the car in these conditions. Saturday was a day of heavy rain and we had two slow punctures in the afternoon stages, so we had to avoid any risks for the rest of the day. Still, we finished Saturday’s leg more than three minutes ahead of the field,” says Kopecký . “On Sunday, we could take it easy and focus on reaching the finish safely and holding on to victory. In the end, we were driving around almost every rock in the road“, he remembers. 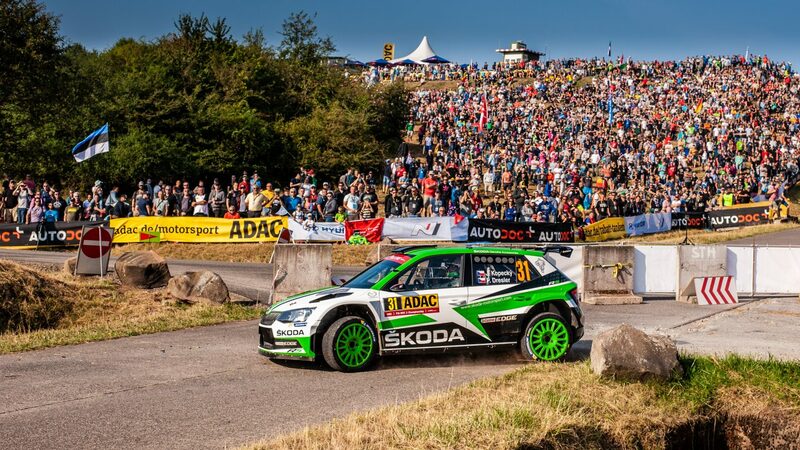 Picturesque wine country on the banks of the River Moselle and the treacherous concrete roads of the Baumholder military area host one of the most interesting asphalt rallies of the season. For Kopecký and Dresler, it was the most dramatic event of the year. “The worst moment in Gemany was when we had to stop because of a puncture during the famous Panzerplatte stage, which takes place on concrete roads in the Baumholder military area. We slumped to ninth place and it was touch and go whether we would be able to make it back to the top,” says Kopecký as he recalls these stressful moments. The biggest unknown in the WRC 2 calendar was the Rally Turkey Marmaris. 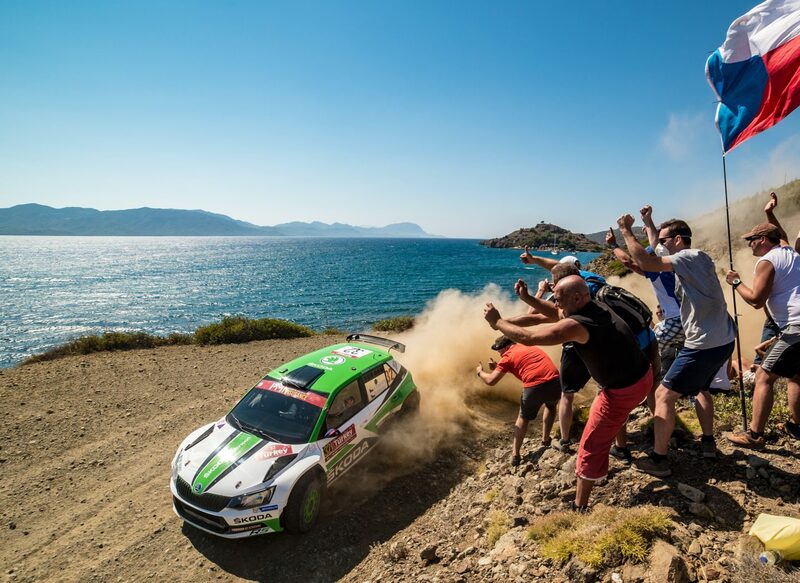 The World Rally Championship was returning to Turkey after a several-year hiatus, so neither the teams nor the crews knew what to expect. The cocktail of smooth, fast coastal roads and rocky mountain tracks turned out to be unusually hard on cars, with all crews suffering numerous technical problems and punctures. 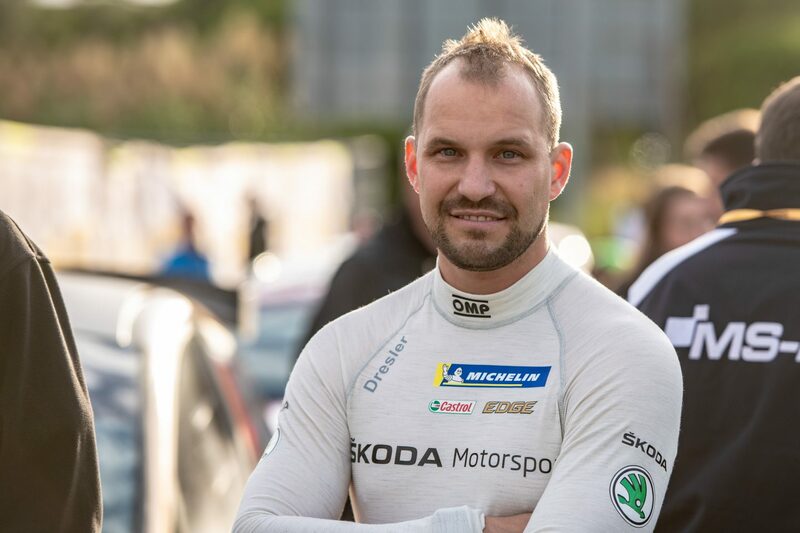 At the end of the first leg, Jan Kopecký had no spare tyres left and his teammate Pontus Tidemand, last year’s WRC 2 champion, was actually forced to retire due to suspension damage. Kopecký then pulled off another amazing drive that took him back into the lead and to another gold. “The early part of the rally was hard mainly because there was no wind. In some places, I was completely lost in the dust. I tried not to push it, knowing that I had a long rally ahead of me. In Turkey, anything can happen to anyone. On Friday, we had two punctures, and Pontus was even unluckier, suffering three punctures and suspension damage. It was one of the most extreme rallies I have ever driven,” concludes Jan Kopecký. Spain’s RallyRACC Catalunya was simply the icing on the cake, giving Jan Kopecký a triumphant finish to the season. No matter how many points he scored, it couldn’t change anything about the final result. Still, he and his co-driver gave it their all. An overoptimistic tyre choice meant that the Czech crew lost time and had to heroically fight their way back. 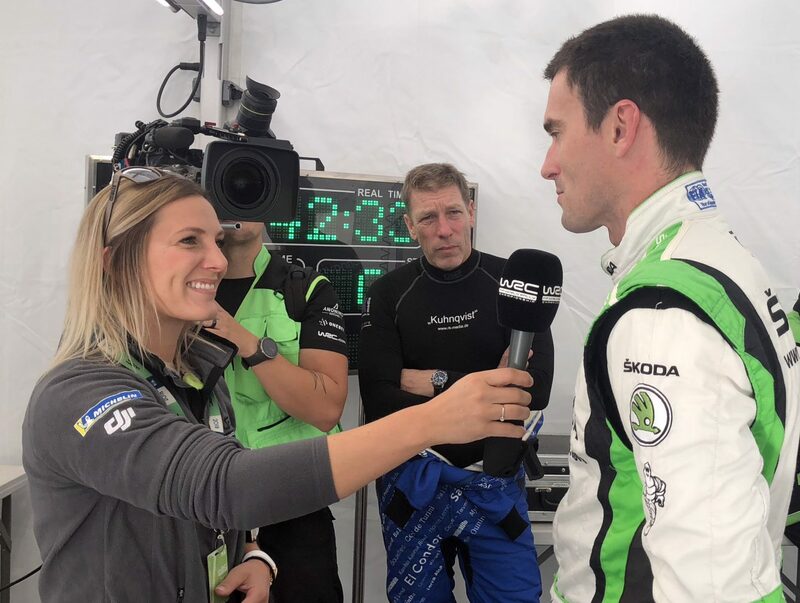 This was the first time this season that they failed to make it all the way back to the lead, being defeated by another ŠKODA Motorsport crew, the 18-year-old youngster Kalle Rovanperä and his co-driver Jonne Halttunen. “The Rally Catalunya started out great for us, but then we were a little too audacious in our choice of tyres for Saturday’s leg. We chose dry-weather slicks, but then it rained cats and dogs. That cost us a lot of time and the chance of overall victory in Spain”, says Kopecký, ruing their mistake.